Spin Master - Bakugan Bakugan, Deluxe Card Collection, Tons To Collect! home • products • Bakugan • Bakugan, Deluxe Card Collection, Tons to Collect! 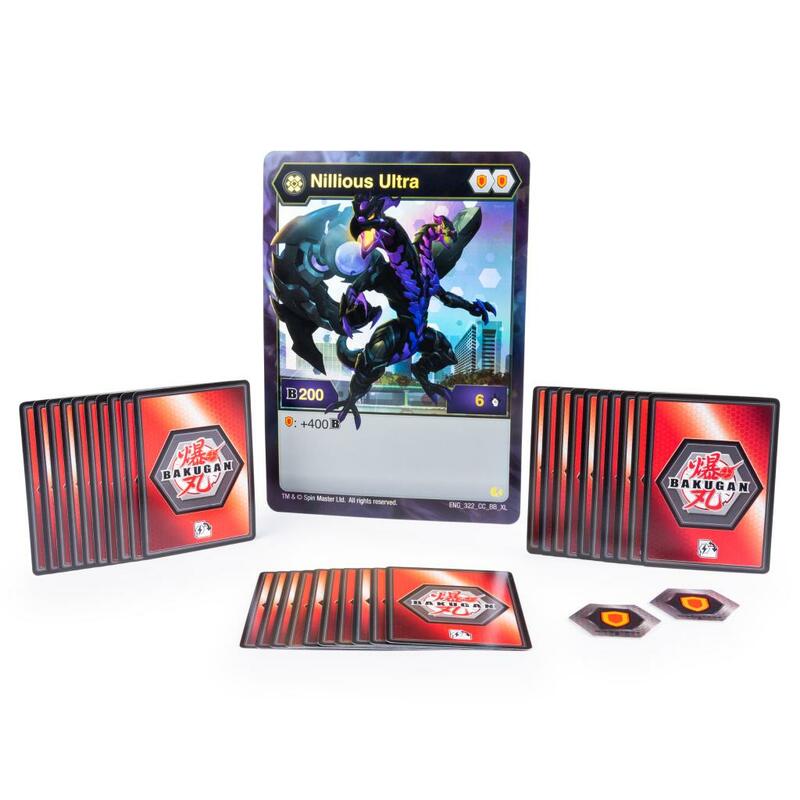 Take your game to the next level with the Deluxe Battle Brawlers Card Collection! 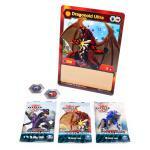 Add 30 Bakugan trading cards and two powerful BakuCores to your deck – then head into battle! Stacked with awesome Action, Evo, Hero and Flip cards this pack gives you enough power to take the Battle Arena by storm! Use your new cards to edge out your opponents in the Battle Arena, or trade with friends to create the perfect deck! 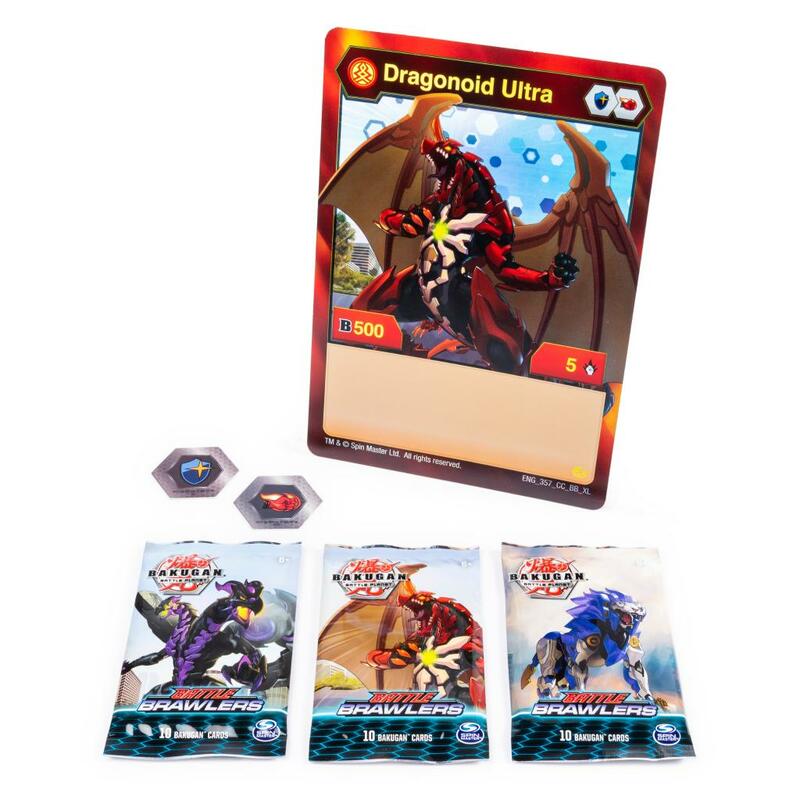 This fierce card collection comes with a jumbo-sized foil Collector Card – the ultimate score for any Bakugan fan! Stash your Deluxe Battle Brawlers card in the Baku-storage Case (not included) and take them with you for battling on the go! 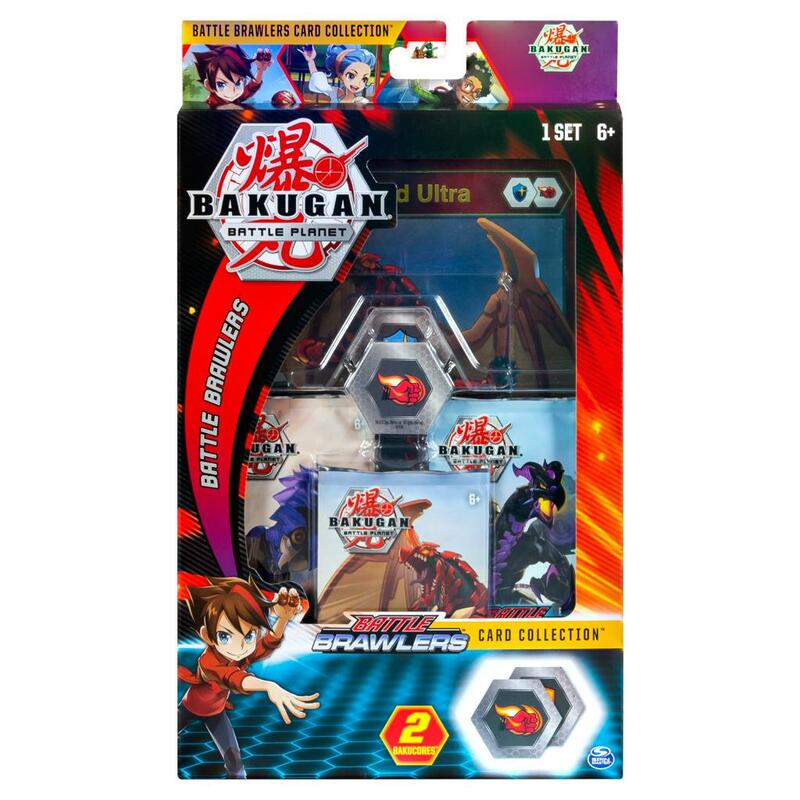 Build your awesome Bakugan deck with the Deluxe Battle Brawlers Card Collection! BAKUGAN BRAWL! COLLECT BAKUGAN TRADING CARDS: Give your Bakugan a boost with the Battle Brawlers Card Collection! 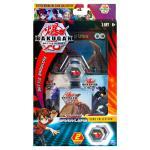 With over 30 Bakugan trading cards included, you can access new Action, Evo, Hero and Flip cards. FIND AN EXCLUSIVE COLLECTOR CARD: Add a giant exclusive Collector Card to your Bakugan collection! With 3 to collect, these cards are the ultimate find for any Bakugan fan. 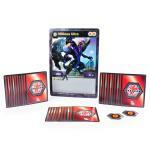 The Battle Brawlers Card Collection is a great gift for kids aged 6 and up. Roll into Baku-action with this trading card pack!